Much of the New York experience can be had just by walking the streets and taking in the sights and sounds. You can see the famous locations and architecture without ever paying a dime. It doesn’t cost anything to stroll the streets of Chinatown or SoHo, see the tall spires of St. Patrick’s Cathedral, stare up at the Empire State Building, window shop along Fifth Avenue, or view the fountain at Rockefeller Center. 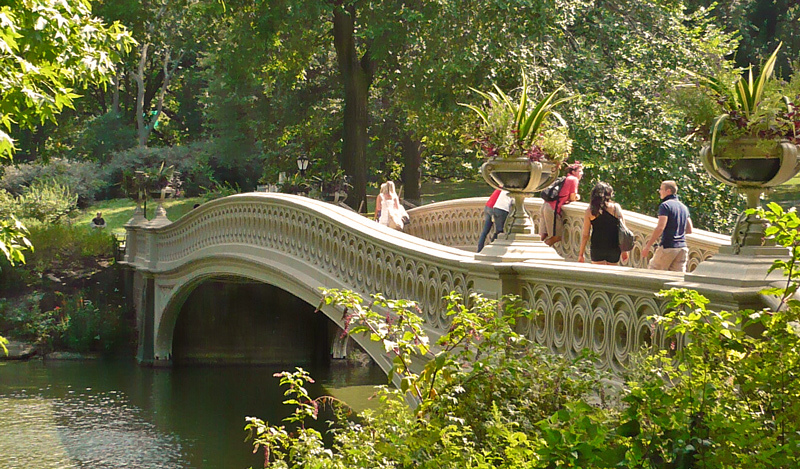 The following are some classic New York experiences that can be enjoyed free of charge. This green oasis in the middle of the city has been lovingly restored and cared for by the non-profit Central Park Conservancy over the last several decades. The park looks wonderful these days and is a great place to get away from the hustle and noise of the city. The park is full of statues and picturesque spots. Some things you might want to see include the Belvadere Castle, the Carousel, the Conservatory Garden, and the Bethesda Terrace and Fountain. 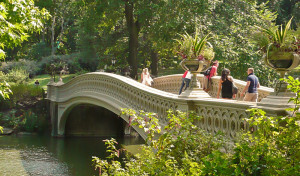 The Central Park Conservancy offers several free tours to help you get acquainted with the park. 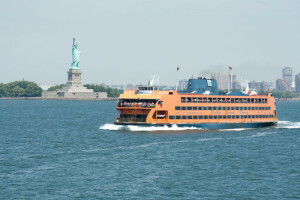 The Staten Island Ferry carries commuters from Staten Island to Manhattan, but it also carries tourists who want to see the view of the city and the Statue of Liberty. The ferry is free and departs about every half hour, depending on the time of day. 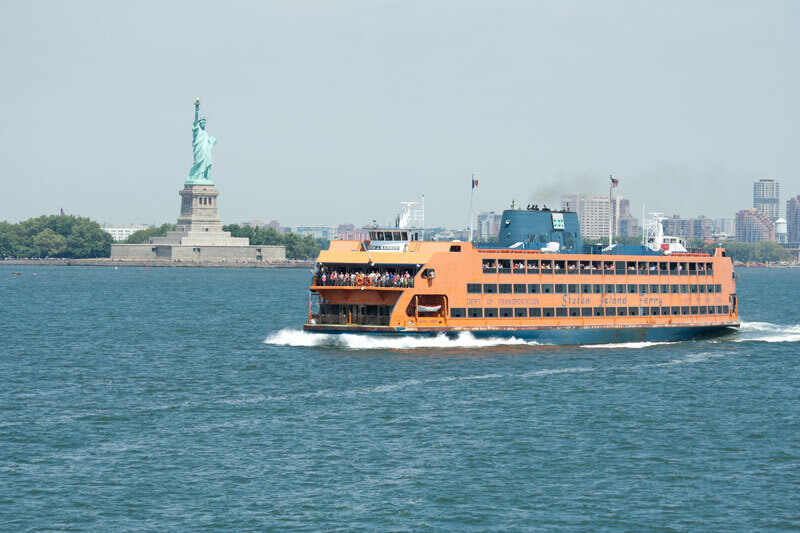 See the Staten Island Ferry Schedule. The ferry leaves from the Whitehall Terminal at 4 South Street in Manhattan. 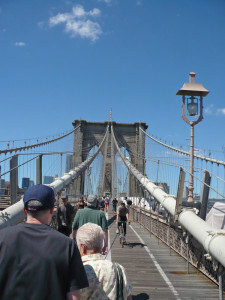 A walk along the bridge is a nice outing and an excellent New York experience. There is a pedestrian and bicycle promenade up above the traffic that provides great views and a safe place to walk and bike. Separate lanes are provided for walkers and bikers, which makes things nice and orderly if everyone stays in their lane. The Brooklyn Bridge is a little over a mile long, so it’s a two mile round trip if you go all the way across and back. For a shorter walk, you can part way and turn around and come back. 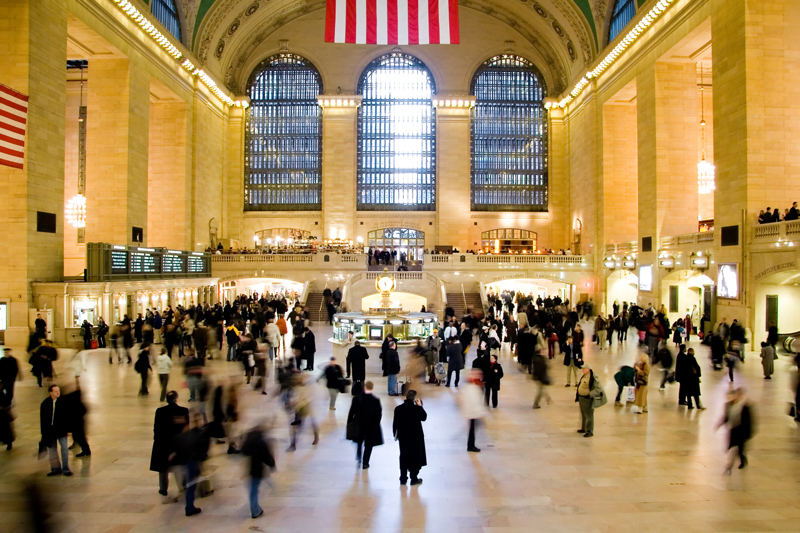 The main concourse at Grand Central Terminal should probably be on everyone’s must-see list. It’s been beautifully restored. The marble work, chandeliers, windows, and ceiling mural are all wonderful to see. You can explore on your own for free or take a tour. Guided tours are $25 and self-guided audio tours are available for $9. In addition to the beautiful main concourse, there are shops to explore and about 30 restaurants. High Line Park is a public park was built on an old elevated rail line. The park runs from Gansevoort Street in the Meatpacking District to West 34th Street, between 10th and 11th Avenues. You’ll find gardens, art installations, and spots to sit and enjoy the views along the way. Because the park is on an elevated deck, there are some nice views of the Hudson River and some interesting views looking down onto the streets below. Also because the park is on an elevated deck, you can’t just enter it from anywhere. There a entrance points where you can get up to the park either by stairs, ramp, or elevator (the type of access varies by location). See a map of access point locations. You might want to also visit nearby Chelsea Market while you’re in this part of the city. 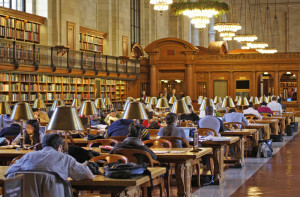 The main branch, located at 5th Avenue and 42nd Street, is well-known for its beautiful interior. Highlights are Astor Hall (just inside the front doors) and the reading room. The library also has several galleries which feature rotating exhibits.An exhibit of special note can be found in the corner of the children’s center – the original Winnie the Pooh, Eeyore, Piglet, Kanga, and Tigger which belonged to Christopher Milne, son of the Winnie the Pooh author A.A. Milne. Free guided tours of the library are available daily. 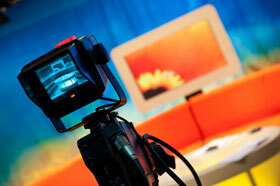 You can be part of the audience for one of the many television shows taped in New York City. It’s free to be an audience member for these shows, but sometimes getting tickets requires advance planning (and maybe a little luck). Most shows have an online system for obtaining tickets in advance. If you decide to try to get into a show at the last minute, many shows also have same-day standby ticket lines. See our guide to getting tickets for TV show tapings in NYC. New for 2017! NYC Cheap Travel’s list of 365 Free Things to Do in NYC. 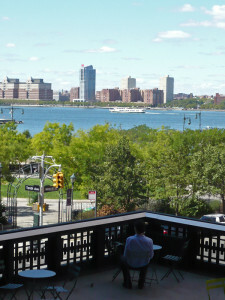 More free things to do in New York City – See NYC Cheap Travel’s posts about free things to do. New York City discounts – Information on current NYC hotel, entertainment, and sightseeing discounts.